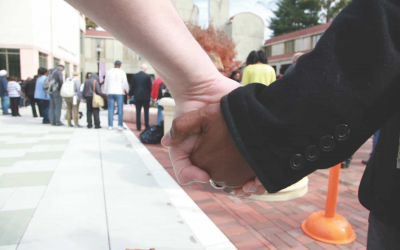 Supporting scholar-activists through convenings, peer learning, research, and networking. Auburn convenes scholar-activists to encourage peer learning, to support their research, and to network. We understand there is strength in numbers. When we put the right people together in the right room, we know it yields positive change. Through accolades like Walter Wink Scholar-Activist Award, the CrossCurrents Research Colloquium, and additional support, Auburn continues to equip and support leaders for the multifaith movement for justice. The CrossCurrents Research Colloquium brings together fellows (religious scholars, sociologists, clergy, activists, artists and others) who have dedicated their work on topics pertaining to faith-based social and religious justice. The Colloquium offers a unique opportunity for in-depth scholarly exploration by creating a harmonious environment conducive to research, discourse, collaboration, and reflection. At the Colloquium, fellows pursue individual and group research for focused and facilitated discussions and seminars. Exemplary work is eligible for publication and exposure in CrossCurrents. Since 1950, CrossCurrents, is the preeminent quarterly publication for multi-denominational, faith-based participants and leaders alike. 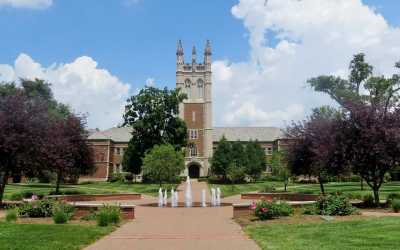 Spend the month of July in New York working on a research or writing project related to the theme of “Reproductive Justice,” with access to libraries and research facilities at Columbia University, Union, Auburn, and Jewish Theological Seminaries. This year’s CrossCurrents Summer Research Colloquium at Auburn takes as its theme Reproductive Justice. The USA currently has a dominant cultural narrative that frames abortion as morally wrong. This frame requires women who have abortions to offer acceptable reasons that justify their decision to end a pregnancy. Such a frame is biased against women from the outset and it prevents needed attention to a broader set of issues and questions related to women’s fertility, reproductive health, and the social conditions in which women raise children. 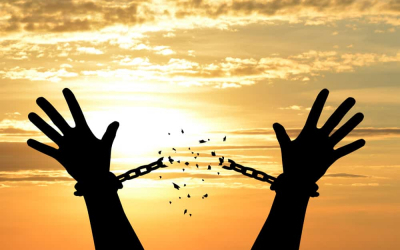 This summer’s Colloquium theme seeks proposals drawing on theology, ethics, and religious studies that work to shift the cultural frame away from the punitive frame of justification and toward a liberative frame of reproductive justice. 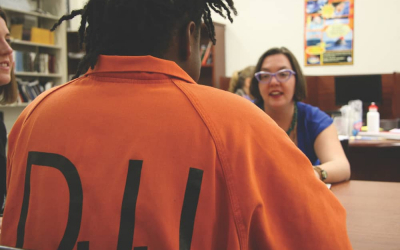 Proposals might focus on any of these three broad RJ principles: 1) the right not to have a child; 2) the right to have a child; and the 3) the right to raise children in safe and healthy communities. 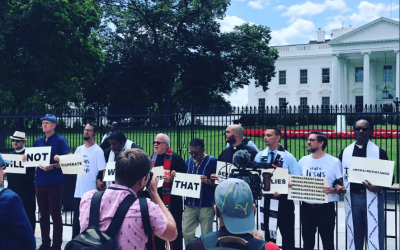 Above all, we seek proposals from theologians, ethicists, artists and activists whose projects and or work depends on developing constructive theological and moral arguments in support of reproductive justice. Our topic is suggested by issues currently in the news, but we invite projects that focus on the historical background as well the artistic, political, theological or autobiographical dimensions. We welcome applications from those who consider themselves to be activists who would appreciate the opportunity for the time and space needed to reflect upon their work, gaining feedback from their peers and the opportunity for collaboration with others. Participants will work on research or writing projects related to our theme and collaborate with others in the group to strengthen and support their work. Media training will be offered to assist participants who seek a wider audience.  projects that focus on our theme within specific fields or bridging disparate fields. The Colloquium had been offered for over thirty years. Since 2012, CrossCurrents has partnered with Auburn Seminary in continuing this program. It brings together “fellows” (scholars of religion, sociologists, clergy, artists, activists and others) who have worked on questions such as those outlined above and offers an opportunity for in-depth scholarly exploration of commonalities and differences. By creating an environment conducive to research, open reflection and scholarly inquiry, participants are encouraged to learn from others who have studied different or convergent topics, bringing perspectives from their different fields. In addition, fellows will be given the opportunity to participate in Auburn’s Media Training and will be encouraged to consider ways to bring their work to public audiences. The program includes single room housing in Union Seminary in Manhattan. Alternative arrangements are up to the candidate (the cost of the single housing may be made available in such cases). At the Colloquium, fellows spend the month of July together, pursuing individual research as well as gathering as a group for focused and facilitated discussions. Those who are selected for a fellowship are referred to as “Coolidge Scholars” after William A. Coolidge, the principal benefactor of this program. Each Coolidge Scholar works on his or her own project, but benefits by being able to collaborate with others. The collegial relationships that develop within the group are a crucial element of this program and one of its distinctive aspects. The work of the fellows is eligible for publication in the journal CrossCurrents. Common meals and opportunities to explore the artistic and cultural resources of New York City. The Colloquium is residential and provides fellows with room and board (vegetarian/kosher food available), round trip travel from your destination to New York, and a stipend for personal living expenses. Also provided is access to libraries and research facilities at Columbia University, Teachers College, Union, Auburn and Jewish Theological Seminaries. Participants are required to pay a $125 registration fee upon acceptance. The successful applicant will be capable of writing for a publication of the caliber of CrossCurrents. Normally, fellows will hold doctorates; some will have professional degrees or ordination; a few will qualify by reason of equivalent experience. Title and brief description (1-2 pp.) of the applicant’s proposed project. A brief resume including religious affiliation or preference (if any), academic standing and professional experience. 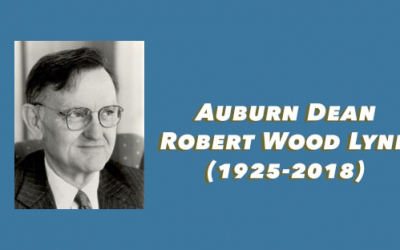 To honor the legacy of Dr. Walter Wink, Auburn Seminary has established the Walter Wink Scholar-Activist Award to recognize courageous individuals who dedicate their lives to advocating for justice and peace in our world. Given annually at the American Academy of Religion/Society of Biblical Literature Meetings, the largest gathering of religion scholars in the world, where Auburn hosts a reception as a dynamic gathering of like-minded, multifaith leaders igniting social change. Dr. Walter Wink served on the faculty of Auburn Seminary for nearly 25 years as a beloved author, speaker and activist. Dr. Wink’s scholarship focused on Jesus and nonviolence, and on responding to a challenging world with love and compassion. His best-selling books include “The Powers That Be” (Doubleday 1999) and “Jesus and NonViolence” (Fortress 2003). With his partner, June Keener-Wink, Wink’s legacy includes workshops on leadership, activism and faith. 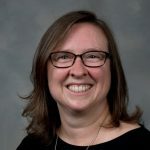 Dr. Rebecca Todd Peters is a Professor of Religious Studies at Elon University in Elon, North Carolina. 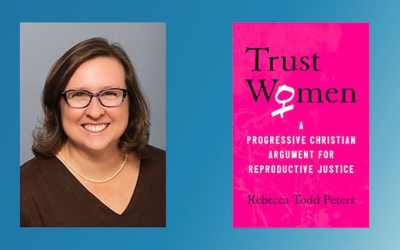 As a feminist and Christian social ethicist, Peters does galvanizing and cutting-edge work around reproductive justice, the subject of her most recent book, Trust Women. 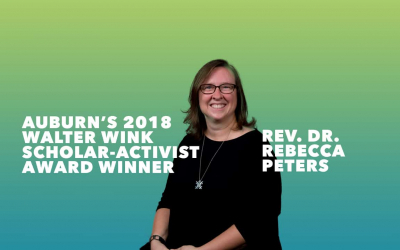 She builds on a decades-long commitment to work on poverty, inequality, globalization, and solidarity through her many modes of engagement, at Elon University and beyond, providing a compelling and vibrant example of the scholar activism. 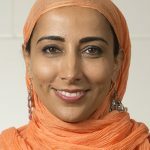 Dr. Simran Jeet Singh is a 2018 Luce/ACLS Fellow for Religion, Journalism, and International Affairs and a Visiting Scholar at New York University’s Center for Religion and Media. 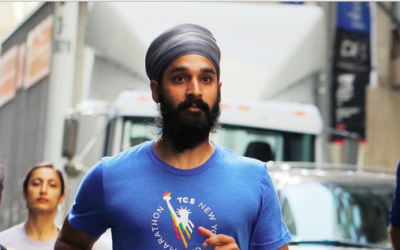 He is also the senior religion fellow for the Sikh Coalition of America. 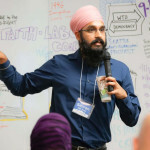 Dr. Singh is a leading voice in the national conversation on Islamophobia, racial profiling, and hate violence. 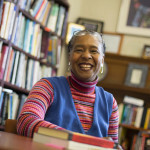 Dr. Traci C. West is professor of ethics and African American studies at Drew University Theological School in Madison, New Jersey. 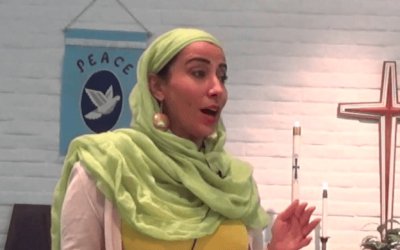 She is globally recognized for her work on violence against women, racism, clergy ethics, sexuality, and other justice issues in church and society. Dr. West is an ordained elder in the New York Annual Conference of the United Methodist Church.